This is the first in a series of small sentiment sets designed to coordinate with a stylish, trendy phrase frame die. 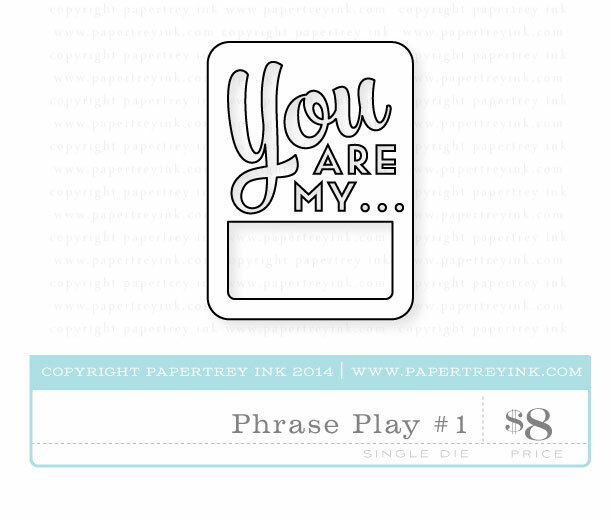 These particular sentiments finish the die-cut phrase "You are my…", giving you lots of design options. Just think of all the texhniques this mini collection opens itself up to! You can even pop the die-cut words out and use them wihtout the frame. As an extra bonus, the size of the coordinating die-cut phrase frame will also work well with our Monthly Moments series! Phrase Play #1 will be available for purchase on February 15th. Phrase Play #1 contains a total of 8 images. "Reason to smile" measures 1-3/4" x 5/8". "Moon & Stars" measures 1-1/2" x 5/8". "Happy place" measures 1-3/8" x 3/4". "True love" measures 1-7/8" x 3/8". "Sunshine" measures 2" x 3/8". A coordinating die will be available for sale separately, retailing for $8. This die measures 2-7/8" x 3-7/8". We just know you are going to LOVE this one!!! These scribbled images can be used to accent a word, phrase or image while background building options are also endless. There are even many nesting options available to you. The stripes can be used for grounding or accenting a sentiment, or you culd also use it to make plaids! Circle Scribbles will be available for purchase on February 15th. Circle Scribbles contains a total of 8 images. The largest circle measures 3" in diameter. The second largest circle measures 2-1/4". The smallest circle measures 1/4". The second smallest circle measures 1/2". The stripes/line trio measures 2-5/8" x 1/2". Be Happy, by Melissa Bickford, is a sweet and happy set that features a variety of different coordinating images perfect for creating and sending a birthday message to someone who means so much. There are fun striped and scalloped borders, a striped frame, butterflies and flowers that could easily be used all by themselves or all together, creating the sweetest projects. With these images, as well as coordinating dies, you will have endless stamping possibilities! PLEASE NOTE: Melissa has created an AMAZING download with sketches on how to use Be Happy for you today! Since the set has a basic frame and borders, there are lots of ways to use those three elements in your card designs. Be sure to stop by here blog and download the sketch files HERE! Be Happy will be available for purchase on February 15th. Be Happy contains a total of 16 images. The square frame measures 1-3/4” wide x 1-3/4” tall. The scalloped border measures 4-1/4” wide x 1/2” tall. The large butterfly measures approximately 1-1/4” wide x 1” tall. The larger flower measures approximately 3/5” wide by 3/5” tall. ‘HAPPY’ measures approximately 1-2/5” wide by ¼” tall. ‘To someone who means so much to me!’ measures approximately 2-1/2” wide by 2/5” wide. A coordinating die collection will be available for sale separately, retailing for $9. This collection includes a total of 3 dies (2 wired shapes + 9 wired shapes + single shape). 4-1/4" x 1", each border about 1/2" tall (A), 2" x 2-1/4" (B), 1-7/8" x 1-7/8" (C). Erin Lincoln is bringing you a new set that we can all use in our collections. A Little Inspiration is the perfect sentiment set for when you want to give a little boost of support to family and friends. Not too sappy yet perfectly said, these words of encouragement work nicely on the inside or outside of your next project. For any situation that needs a little sunshine and kindness, this stamp set will have you covered. A Little Inspiration will be available for purchase on February 15th. A Little Inspiration contains a total of 21 images. The "Courage does not always roar" sentiment measure approximately 2 and 3/4 inches by 1 inch. The "If you are lucky enough" sentiment measures approximately 3 inches by 1 inch. The "One of the hardest things" sentiment measures approximately 2 and 1/4 inches by 1 inch. 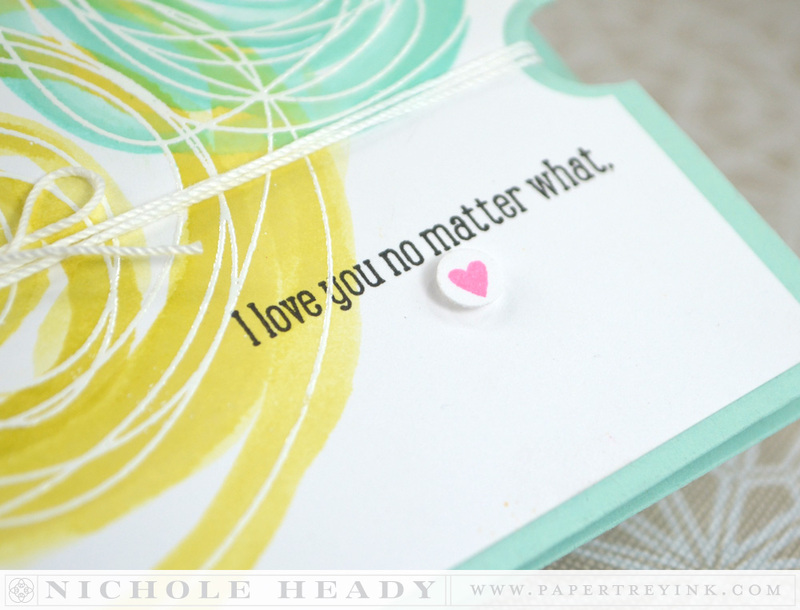 The "I love you no matter what" sentiment measures approximately 1 and 3/4 inches by 1/4 inch. We're bringing you a fun new star die set that you're sure to fall in love with! You can pop out the center pieces and fill them with an alternate color, or just leave them out. Imagine them embellished with glitter, gloss accents or rhinestones. Cut them from clear card stock, cork paper, felt, balsa wood sheets, shimmer card stocks and all kinds of fun stuff! Sketched Stars die collection will be available for purchase on February 15th. Here I have combined the new Circle Scribbles set with the Sketched Stars dies, and I think they make a perfect pair! 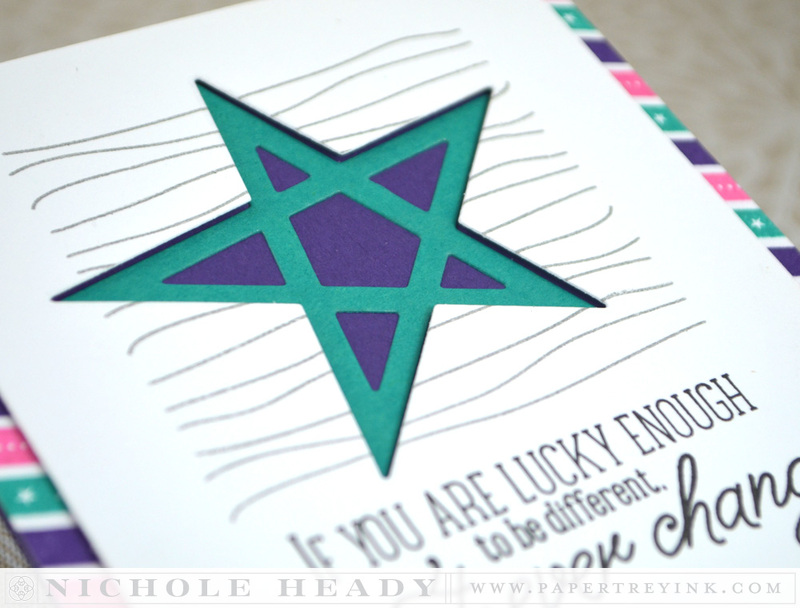 I heat embossed the cirlce scribbles one at a time with different shades of Zing! 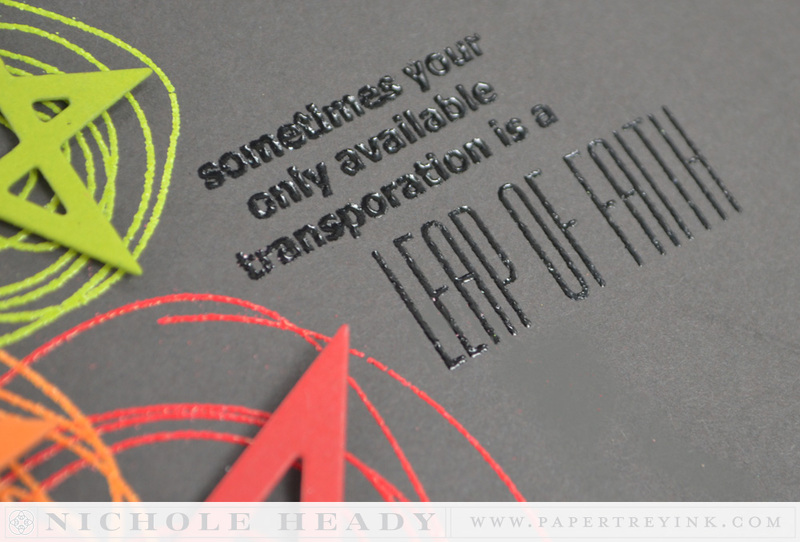 embossing powders onto Smokey Shadow cardstock. I then die-cut the stars using Simply Chartreuse, Orange Zest and Pure Poppy. Each star was attached on top of it's coordinating scribble with foam tape. The heartfelt sentiment is one of the many masterpieces included in A Little Inspiration. It is heat embossed with Black Filigree Embossing powder here. I mounted the card front onto a True Black card base to help make the sentiment pop. I love the colors and layout of this project and think that it would also make a great mascvuline birthday card! Here I have used the Circle Scribbles again, but this time with a watercolor resist technique. I stamped three sizes of the scribbles in VersaMark and heat embossed them with White Filigree Embossing Powder. I watercolored over the lines using Hawaiian Shores, Simply Chartreuse and Summer Sunrise ink refills and water. I love the way the colors overlap! I wanted something small and understated for the sentiment, so I used this one found in A Little Inspiration. I stamped it in True Black and then added a tiny heart in Hibiscus Burst that had been punched out with a 1/4" circle punch. The sides of the card were notched with circle punches to help hold the white crochet thread wrapped around the card front and finished with a bow. Imagine making these types of cards in a huge rainbow of colors! Here I showcase how you can use the Circle Scribbles to create beautiful flowers! First, I die-cut this Phrase Play #1 frame from Tropical Teal cardstock and stamped it with Polka Dot Basics using Fresh Snow ink. The flowers were created by first stamping with the back of the Circle Scribble stamps. With each color, I would stamp the backside repeatedly while rotating the stamp to get an artistic look. I used Raspberry Fizz, Orange Zest and Pure Poppy for this. After the solid splotches of color were done, I flipped the stamps back over and stamped the scribbles in True Black. Leave It Be had the perfect leaves to add on to this arrangement. I stamped them in New Leaf and then followed up with the stitching layer in Pinefeather. I finished the flower centers with black rhinestones and the companion sentiment "favorite" was added to the frame in True Black. To help accent the black card elements and help the sentiment to be more prominent, I mounted this onto a True Black card front. This card showcases how you can add elements to the Scribbled Circle to completely change their look and feel! I stamped the largest Circle Scribble in Limeade Ice and then added several of the adorable striped leaves from Be Happy as well. I scattered some flowers from the same set in Spring Rain, adding Aqua Mist centers. Don't you just love the way this looks? Think of all the other images you could add to the scribbles like this! 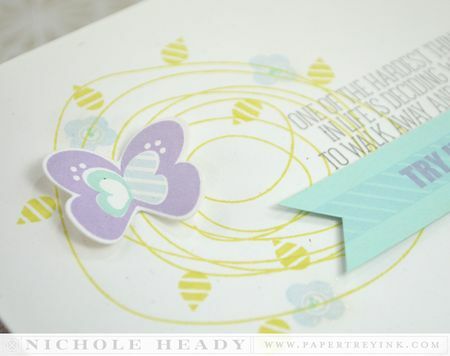 The butterfly, from Be Happy, was die-cut and stamped using Winter Wisteria, Aqua Mist and Spring Rain, folding it in half and adhering just the center portion with Scor-tape. Both the butterflies and flowers in Be Happy were designed with such a versatile style. And I love all the layering and color options I can create too! I stamped the main portion of the sentiment from A Little Inspiration directly onto the card with Charcoal Palette ink. The "Try Harder" phrase was added with Winter Wisteria ink onto a strip of Aqua Mist cardstock. I stamped the diagonal striped border from Be Happy in Spring Rain to help highlight the sentiment. Little touches like this can make a huge difference on a card. I stapled the strip into place with a mini stapler. The four corners of this Rustic White card were rounded with a Corner Chomper. One thing to keep in mind when using Phrsae Play is that you can totally pop the phrase out and use it alone without the frame! Here I have die-cut it from Limeade Ice cardstock, giving you a totally different look than when it is framed. This fabulous accent was created using elements from Be Happy. Can I just say, working with this set just makes you grin from ear to ear! And I can only image how happy it will make a recipient feel! I die-cut the flowers using a mixture of Summer Sunrise and Berry Sorbet cardstock. I then stamped them respectively with Orange Zest and Pure Poppy inks. The Pure Poppy kind of takes on a whole new look when stamped on the Berry Sorbet like that. The flower centers were finished with dots made with a black pen (American Crafts). The leaves were die-cut from Simply Chartreuse and stamped in Ripe Avocado. My favortie thing in the set, this lovely striped frame, was die-cut from Harvest Gold and stamped in Summer Sunrise. I layered all of the elements with foam tape. The last thing I did was add the companion sentiment to a strip of Classic Kraft cardstock and adhere it to the frame. Everything was mounted onto a Pure Poppy card base. 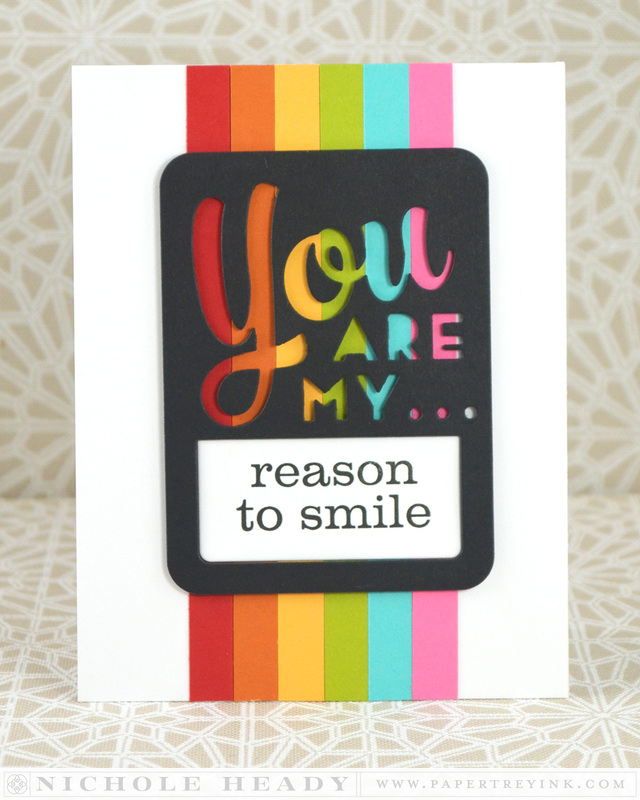 Simple + Rainbow = an easy to make card the will bring sunshine into anyone's day! And it only takes 15 minutes at best! I cut strips of cardstock and adhered them together on my white card cover. Phrase Frame #1 was die-cut from True Black cardstock and adhered over the rainbow stripes using foam tape. I die-cut the bottom portion of the frame from white cardstock and added the companion sentiment with True Black ink. I love this card and can only beign to image all of the wonderful rainbow color schemes I could use for these stripes! I have one last card for you today using A Little Inspiration. I stamped this wonderful sentiment on my white card front using True Black ink. The stripes from Circle Scribbles were added above that in Charcoal Palette ink. I die-cut the Sketched Star from the white layer, on top of the stripes. I then die-cut it again from Tropical Teal. The star was adhered to the Royal Velvet card base, through the opening in the white layer. Border strips were added to each side of the panel, stamped with Background Basics: Diagonals Additions using Tropical Teal, Royal Velvet and Raspberry Fizz inks. I love how these set the project off. The inlaid star is an easy technique that you could adapt to a variety of occasions. You could even add glitter to the star before adhering it in the opening if you wanted extra sparkle! As my last project for the day I have another Monthluy Moments layout to share with you. Something I added to the "Our Story" album I started. Here is the double spread. These are photos from a little birthday/anniversary getaway David surprised me with one day when the kids were all at school. This is one of my favorite photos from that day, altered a bit with a special filter from Instagram. I opted to work with a double horizontal 4×6 pocket page for this. I die-cut the frame from Be Happy and stamped it in Lavender Moon to help accent the color of the flowers. I added clear cardstock behins the frame and added the die-cut numbers of my age using the By the Numbers Border die. The frame accent was adhered on top of the page protector. Underneath that, I added a clear cardstock strip that was heat embossed with a phrase from Monthly Moments: Library Card. That strip was stapled in place. In the pocket underneath that I started with a 4×6 piece of plain white cardstock. On one half I stamped the Monthly Moments: Library Card in Soft Stone. "Birthday" (from Be Happy) was added at the top of the card, and underneath that "good times" from Monthly Moments: Slide Frame. On the other half I added a few more pictures cropped down to size. The journaling was added in by hand. The opposing page using a pocket protector that has two 3×4 pockets at the top and one 4×6 at the bottom. At the top I created two 3×4 cards in a selection of my colors for this layout. Here, I die-cut the Phrase Play #1 card from Soft Stone and backed it with white cardstock. I then die-cut it again from Lavender Moon and imoressed it with the Linen & Canvas impression plate. You can have fun experiemnting with different combinations of textures with these Phrase Play dies. I added the companion sentiment in the opening using True Black ink. I used the Be Happy border strip die and matching striped stamp in Lavender Moon. The date was added in True Black ink. I ended up using Calender Basics for the date, it has a slightly more sophisticated look which I loved for this layout in particular. The small arrow detail was added from Monthly Moments: Slide Frame. This strip was stapled to the top of my card. The bottom photo was accented with Circle Scribbles. I didn't dare to heat emboss diectly ont my photo for fear of screwing it up, so I did the heat embossing on clear cardstock, cut aorund it and stapled it in place. 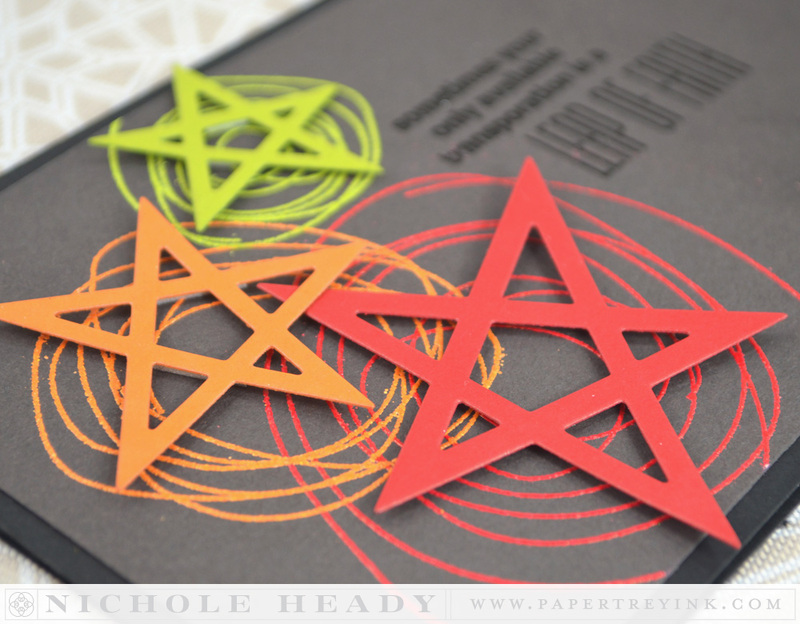 The Sketched Star was die-cut from Lavender Moon cardstock and adhered in the scribbled circle. I added two labels underneath that listing the places we visited that day. I hope you have enjoyed all the creations that I have shared with you today! Now take a look at what some of the other designers have made! Betsy Veldman will be showcasing Phrase Play #1. Erin Lincoln will be featuring A Little Inspiration. Heather Nichols will be showcasing Be Happy. So today we have shown you all kinds of fun ways to add *words* to your cards using the new Phrase Play stamp set. Now it's your turn to give it a whirl for yourself! Grab your favorite word die, alphabet dies or alphabet stamps and make a project that has a *word* for the focal point. Have fun experimenting with the potioning of your word, whether it be at an angle, along the edge of your card, etc… We can hardly wait to see what you make! 1. 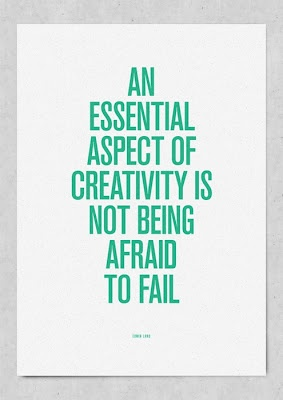 Create a new project using a large word as the focal point. The word can be created with a word die, large word stamp, alphabet dies, alphabet stamps on whatever else you can dream up! 2. Your project must use at least one Papertrey product. 3. Upload a photo of your project to your blog, online gallery or any other photo-hosting site (such as photobucket or flickr). 4. Add the direct link to your project on our InLinkz list below. 5. You may create as many projects as you like for the challenge, but each project should have a separate link. 7. You have until 7am EST, Tuesday, February 11th to add your project link or comment and qualify for the contest. 8. SEVEN randomly selected winners will be announced on our February Release Winners page no later than noon EST, February 11th. SEVEN randomly selected winners will each receive a $70 Papertrey gift certificate to spend however they choose! Thank you for joining us today and best of luck with the contest! FINISHED SIZE: 4-1/4" x 7"
FINISHED SIZE: 4-1/4" x 6-1/2"
What a wonderful showcase today! I love the scribble set and making words a focal point! I didn’t think id like circle scribbles but I love it! Love these dies!! And I think I’m going to love the stamps to!! Wonderful inspiration! I love Melissa’s Be Happy concept! It is a BRAVO day and I haven’t even looked at the DT projects yet! AMAZING! I love every product and every card you made. I love the plethora of styles and colors. I just love the circle scribbles. Melissa’s dies are extremely cute. wow. so beautiful, so colorfull. I just love it. I love die cutting. I never thought that would have so much appeal to me but I am challenged to see what I can do different with them. Great projects today!! Endless inspiration today! Definitely happy stamps coming our way! Love each and every one! Oh, I just love Phrase Play #1!! It looks fabulous! 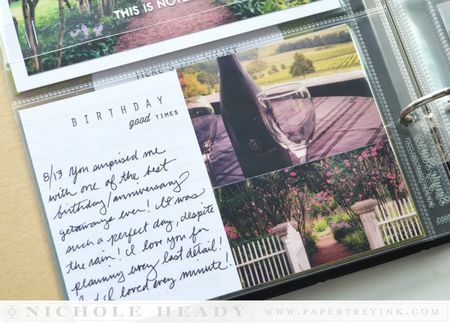 And Nichole, I’m really enjoying seeing your Monthly Moments spreads — they’re fabulous! I really love those sentiments from a little inspiration. I’ll definitely be getting those. I think I’ll need tomsxpand my die storage system with this months release. 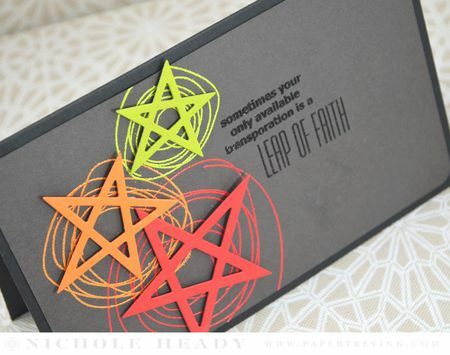 Love the inset of colored card stock into the die cut out, great idea! All the peeks are so fun today – but those circle scribbles have GOT to be the top of my list! So fun – especially with the watercolor resist technique! I love Scribbled Circles!! It is perfect!! So much has caught my eye with this release. I am especially in love with Text Block Birthday and Be Happy. Can’t wait to place my order. Circle Scribbles and Be Happy are awesome!! Can’t wait to get my hands on them! So far, I want everything but have to say that those Circle Scribbles have caught my eye. So many fun possibilities!! Oh my goodness, seriously, I think because all this goodiness started at the beginning of the month it seems like it is taking way longer for the release than usual! So excited for the Phase Play series! LOVE the cards you made..so very gorgeous…I am in love with the new Phrase Play#1 ..can’t wait to see more of them..such a fab concept..love the Text block B-day too..and the Slide Frame die and stamp and the Leave it be…. Circle Scribbles are going to be sooo much fun!!! Today has been my favorite day of new products so far. Circle scribbles looks soo fun!!! Love your cards so much! I am so excited about the Phrase Play series and the way you can pop out the words! So many possibilities! And the You Are My Sunshine Card makes me think of carefree summer days! Those stars! Those stars! Those stars! Can’t wait to get the new products. Thank you for coming up with new and fresh products. Your use of the circle scribbles makes it a must have stamp set. I also love the new star dies. Ooh Sketched Stars and Circle Scribbles… And um, can you not release sooo many beautiful sets in one release? I don’t think my wallet can take it, lol! Wow….so many gorgeous cards and projects today. Love those sweet scribble circles. Wow, wonderful projects today. Thanks so much for a chance to win. Cheers. Once again, more amazing projects! Love the new Phrase Play, and Melissa’s new set has SO many possibilities (Thanks so much for the sketch download!). I am most excited about the Monthly Moments line as well as the new color release . . . come on Feb. 15! C.
LOVE the new word die and the sentiments of inspiration! The design team’s cards are amazing. I especially love the Scribble Circles. With my love of scrap booking, I went back to look at my PTI stamps and dies in a whole new light! Thanks PTI! Many beautiful cards as always! Can wait to get these sets! The cards were all amazing. Hard to choose one. I would have to say the be happy set. I also love the Birthday plate. I love the Phrase Play dies! I can’t wait to see what new ones every month brings. So many different possibilites. I can’t believe how much I love the Scribbled Circles! The sentiments from A Little Inspiration are perfect in every way. It’s going to be incredibly difficult making my shopping list this month with so many wonderful new products. Happy Anniversary, PTI. Love those Circle Scribbles. They are so simple, yet they add so much to a project. What fun! I especially love the “Be Happy” stamps and dies. I’ve already printed the two pages of sketches so I’m ready when my order arrives. Love the circle stamp set. The projects you showed are fabulous. Could I just sign up for a release autopay subscription service? I want EVERYTHING. I think I’m most excited about the pocket scrapbooking line. I needed an inspirational jump start to get back to my photos. This is it. After 15 years of 12×12 layouts, I am so ready to try something new! Those scribble stamps are a must have. You are just killing me, not sure how much more I can take!!!! A Little Inspiration is at the top of my list. Loving the sentiments!!! Everything you have showcased today is fantastic, I can already see 2014 is going to e great for PTI!! :). Looking forward to the 15th! The new Phrase Play series is awesome! I can’t wait to see more. Circle Scribbles seems very versatile. I love the cards you made! Love all the cards! The circle scribbles are so much fun. Can’t wait to have them in my hands! What a great selection today. A few things I didn’t think I would like are now going into my cart!! You are my sunshine..this brings a smile to my face!! Your sample cards are FABULOUS!!! I may need a second job so I can order all that I want! This will be one of the releases that requires picking out what I need the most. Loving so much! You did such a beautiful job showcasing the versatility of the ‘You are my’ die and the Sketched Stars dies are just so fun & playful! Love them! This Phrase Play series is going to knock my socks off every month- love it! I’m stunned at all the wonderful sets today, all too good to choose a favourite! I love the different looking stars! Your samples using them are so cute. The scribbled circles stamp set is a must-have! It is so versatile and will be a staple to many projects! So excited for the 15th! So excited about the new products, especially Circle Scribbles! How unique and versatile! Oh my goodness! I loved everything today and it makes me so appreciate how hard y’all work to make every month amazing and as for choosing? I loved it all today from the Phrase Play to those stars to the circle scribbles. Too hard to choose just one and I am sure I will be in trouble on the 15th! Happy Anniversary again, ladies! Circle scribbles just went straight to the top of this months wish list. Fabulous projects from you and the design team!! What a fun release this has been. I can’t wait till order day! I love the sketched stars die. So fun. As always the DT projects are amazing. I was quite unsure about circle scribble in the sneak peeks, but after seeing Nichole’s examples, I am imagining quite a few uses! What a fun idea! Those Circle Scribbles must be mine! Love, love, love them!! I wish I could play this week. Love the challenges. Great preview today. Love the circles and the stars! Phrase Play #1 is a must have for me and I can’t wait to see the rest of the series! I LOVE the way you used just the words alone, along with the super cute Be Happy frame and flowers! A Little Inspiration looks like a sentiment set I’d like to add to my collection, to be able to make some extra specia message cards. The Circle Scribbles looks like a lot of fun, too! Good grief, my list is growing! Phrase play #1 took my breath away. I can’t wait to order it and have some fun. Thank you PTI. All wonderful sets and inspirations today! Love the circle scribbles set! That scribbled circles set has my heart going pitter-patter!!!! I just love what you did with them and can think of lots of other ways to use them. I can’t wait to get my hands on them!!!!! Oh gosh! It looks like Be Happy is yet another must-have set. Those sweet little flowers are especially adorable! I really can’t describe how excited I am about the monthly moments line and the word die serries! Awesone. Wow!!! The sample cards are spectacular and I’m just loving everything you introduced today!!!! 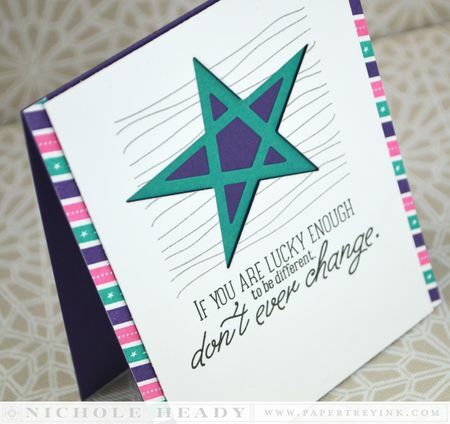 The scribbles and the stars will be a favorite and I love the new dies too! I love Phrase Play and am thrilled it is a series because it can be used so many different ways. The Special Delivery truck has stolen my heart. Too cute and so versatile! How do you do it…..Loving all the new creations. What fun these new word frames and dies will be! I can see so many possibilities! Thanks for all the inspiration! I really like the circle scribbles. I think this month’s release is the best ever! I want it all. ooohhh loving these circles and the new dies! So exciting! Beautiful projects! The phrase play has definitely caught my eye (and a spot on my shopping list!) Thanks for all the inspiration here and at the DT’s blogs. I’m really loving the versatility of Circle Scribbles! I’m very excited about the Phrase Play #1 and the ones that will follow!! This has been my favorite day so far. I love the frame, circles and stars. So mauch fun. LOVE Phrase Play #1! It will work so well in my scrapbooks. Love the Circle Scribbles flowers and the Be Happy set. The A Little Inspiration set is great. I love the sentiments. They are not stuffy, run of the mille card sentiments and will come across more like a friend talking to the recipient of the card. Nice job, Erin! I love the Phrase Play #1, love how versatile it is! There is so much eye candy, I would love to have it all!! Don’t change your designers, because they are all awesome, top notch!! I always love the new dies! A am a “die-a-holic”. Giddy over Phrase Play #1! The circle scribbles are just too cool! I love the circle scribbles! They are so much fun!! I love the Phrase Play and love the rainbow Phrase Play card. Thanks for sharing your Monthly Moments album. I really like that size – a few photos and journaling cards make such an impact as well as taking less time to work on it. I really like the new Phrase Play stamps and die.These stamps will have many possibilities. I can’t wait for the full reveal. 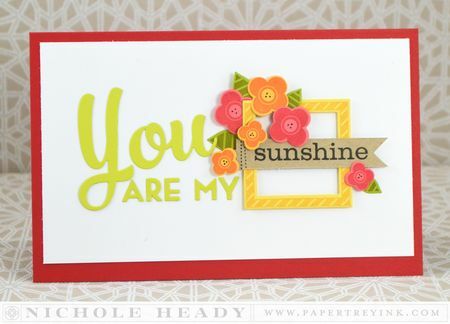 I love your You Are My Sunshine card, it’s just so beautiful and cheery! The Phrase Play die and A Little Inspiration have definitely caught my eye. Circle Scribbles is a definite must have! I adore the “You are my favorite” card that you made with it. And Phrase Play is another that looks very versatile. Circle scribbles are too cool. Can’t wait to play with them! I love Heather’s little bunny and chick set! beautifull inspiration cards! I love what u created! The star dies are great and I just can’t wait to get some Tropical Teal card! The scribbles! I loved the idea of making flowers, backgrounds, and accents out of them. I’m also pretty excited about Word Play as it seems like it would be fantastic to make some really cute cards fast. Totally in love withthe scribbles. My favorite so far of all the great product introductions – the new teal color! And Erin’s truck 🙂 so cute! Today I’m loving the phrase frame and the sketched star dies! Wow! I love it all! I think my favorite is Be Happy! Your samples are all just fabulous. Love the projects shared here & your awesome products too. I want to be a winner so I can have some of your products & participate in the challenge someday. February 15th can’t get here soon enough! I might just have one of everything on my shopping list! It’s going to be very hard to narrow it down!!! Love! That “you are my” frame is super cute. I also love the scribble circles! Especially as flowers. I’m loving the new color, Tropical Teal, and I can’t wait to see the new Special Delivery stamp set. Very excited about Phrase Play and Be Happy! What a GREAT release this is!! I really love “A Little Inspiration” I just feel that this something everyone needs at one time or another in their life. Circle Scribbles is amazing! Can’t wait to get my hands on it! Amazing projects! Gorgeous inspiration today! Love the Phrase play die and the scribbled circles are awesome, who would have thought you could do so much with them. Your cards were all fabulous today! I just love the scibbles set and all the different things you were able to do with it! there are so many fantastic new products that i just can’t pick a favorite! lovin’ melissa b.’s new set and all the dies are fabulous! About the Circle Scribble my first thought was : What should i do with that ? But because of your inspiration i see endless possibilities. THANKS !! The images from Be Happy are most certainly happy, such a cheerful set. I can’t believe how adorable the stars and scribbles look together!!!! everything looks amazing, i am going to have a hard time choosing this month. thanks. 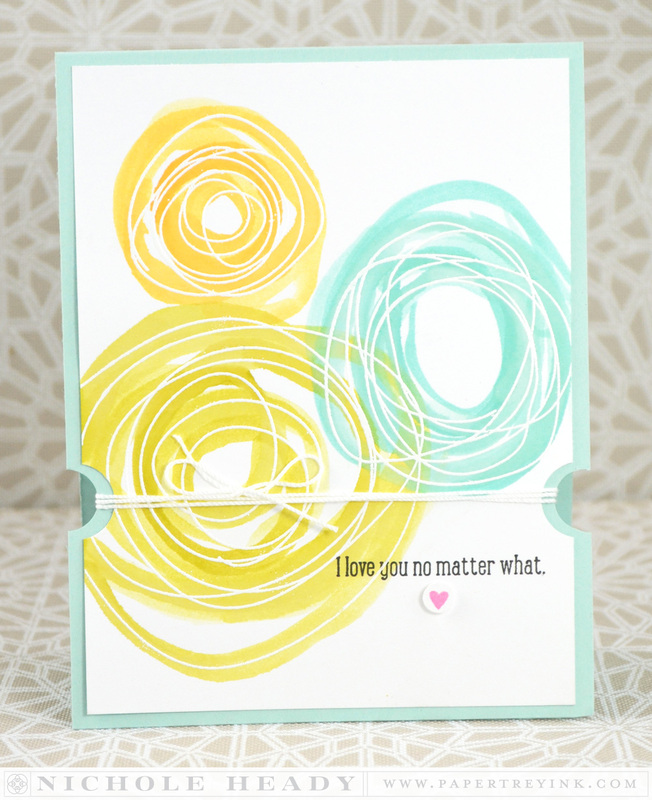 I love the circle scribbles–this is a definite must have for my collection! They make beautiful flowers and backgrounds to focal points. I am also excited about Phrase Play #1 as it will offer a lot of fun possibilities for cards. 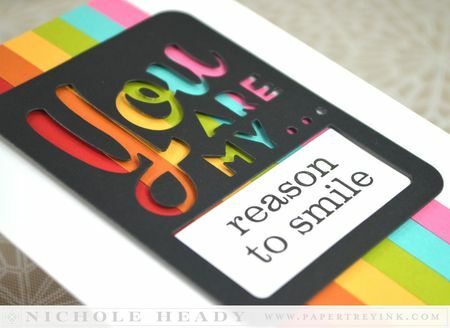 Love that rainbow “You Are My Reason to Smile” card! Beautiful projects by the DT using the new goodies! I love the circle scribbles…so fun! 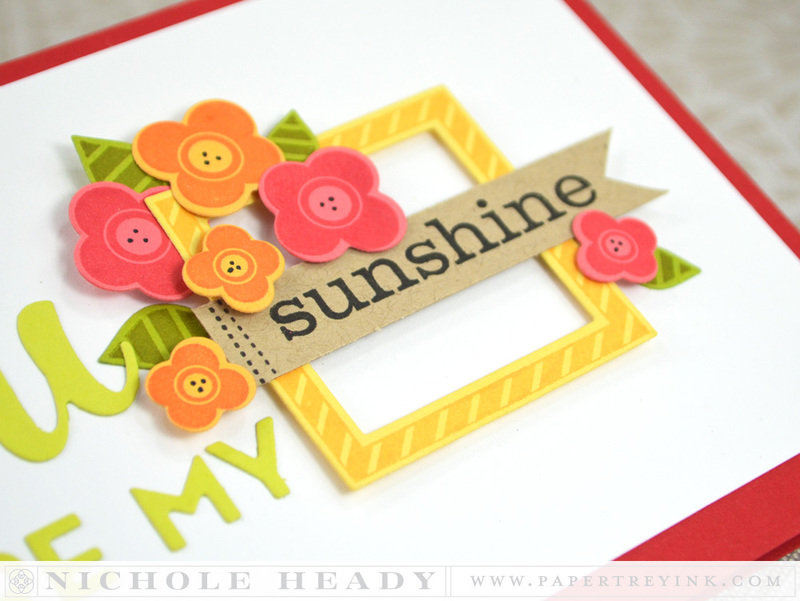 I am in love with the “You are my sunshine” card you made, Nichole! You make February fun, thanks for the chance to win. I didn’t think I would be interested in the scribbled circles, but after seeing it in action today, I’ve changed my mind! Also loving the new “you are my…” die, what creative uses for it, Nicole! I am really interested in phrase play – a very unique concept with many possibilities. And oh my is scribbled circles cool; love the versatility and those flowers are just too sweet. Love the circle scribbles. Got a lot of ideas today. Love the circle scribbles and the leap of faith sentiment!!! I am loving the scribble circles!! Love the circles and stars. Phrase Play #1 – the minute I saw it I knew I had to have it, it has so many possiblities and I’m hoping that since it is #1 there will be more to follow. You always make the most wonderful cards too. I really love everything, I am really afraid to order because I know I cannot stay within my budget but it really doesn’t work to wait because then it just gets worse!! Oh, …..help!!!! Monthly Moments I just love. Phrase Play is awesome to go with it. Circle set, Inspiration…….My mind is spinning with pixie dust and excitement!!! 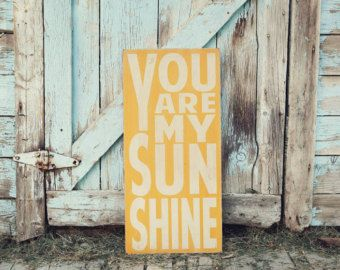 I absolutely love your “You are my Sunshine” card! Those are super cute dies!! Didn’t think I would like the scribbles but when I saw them used they are now a must! And love the Phrase play as well, just love it all! I LOVE LOVE LOVE all the dies today, especially Be Happy collection. I can’t wait! Beautiful inspiration from DT. Love that you reminded me of the resist using Circle Scribbles. Fun, fun, fun! What fun! I love the flowers made from Circle Scribbles!! I really, really Need! the Text Block Birthday die, the samples showcasing the die are great. I’m really loving Lizzie’s Text block…so on trend and and the font is terrific! You are MY sunshine!! That was what I immediately thought of when I saw the blank frame. I don’t think I could pick just one thing that makes me happy, everything you show makes me happy!! But, with this LONG, DREARY winter, I am most happy about the ‘You are my . . .” it is so versatile and exciting. Bring on the sun!! Wow, there are so many things to Love! I don’t know how I will ever make a decision on the 15th. Thank you for the amazing products and inspiration. A Little Inspiration and Circle Scribbles are must haves for me! I love the. Circle scribbles and the Be Happy stamp set. I can see so many fun different cards with those sets. Wow, wow and wow again!! Loving all these new products and the clever way you have used them! Love playing word games and card making- great combo!! I just started project life this year, now that PTI has products that I can work with, yipee!!! The scribbled circles kill me dead! So simple and yet sooo awesome! My cart is filling up already! So many things to fall in love with … hard to pick my favorite! The Circle Scribbles make me happy! I love the star dies!! Loving those circle squiggles, so versatile they can be used on anything! I really like Phrase Play 1, especially since it will also work with the Monthly Moments series. The stars are super cool! I love the fabulous samples. Wow, so many amazing new products, and the sneak peeks have just begun! Fabulous cards from everybody on the DT – so inspirational. I am really liking the scribble circles, and the Phrase Play die is pretty cute too! Can’t wait to find out what the rest of the series will have in store. I love, love the circle scribbles stamp set! So many possibilities! That’s definitely on my “to purchase” list. Love all the samples in today’s post also. Beautiful cards! I love the various ways you used Scribbled Circles. So fun. Ooh! I can’t wait to get my hands on those Scribbles, and I could get good use out of the Phrase Play too. I’m loving all the great examples! OMG ~ everyday gets better ~ love everything today ~ really in love with all of the new dies that are coming out! Scribbled Circle is a sold set for me! a must have in any collection, and you’ve showcased it so well! I love how you’ve used the Circle Scribbles. LOVE today’s projects–every one is just awesome! I’m really excited about the Phrase Play concept and love Circle Scribbles! Can’t wait to use phrase play #1 in my scrapbooking! I am so excited about the Scribbles stamp set I love mixed media stamps and they seem to be a great addition. Looking so forward to the release! I love the Phrase Play supplies – looks like a lot of fun. And I always love Melissa Bickford’s stamp sets. I love all the beautiful samples today! Love the new phrase play…I love that it’s so different, so retro looking. Can’t wait to get my hands on it! Everything is wonderful so far love circle scribbles and phase play, everything else is great also going to be a costly month! Oh well! Love the “You Are My”…. die – keep the ideas coming! Fantastic new die and fantastic projects! I’m in love with the new die, goes directly to my wish list!!! Thank you for inspiration! Be Happy looks fun, and starts the creative juices flowing! Fabulous release. I am most excited about those circle scribbles. Oh my word…. the Circle Scribbles is so darn cool! I love it and well… I pretty much want everything from this month’s releases. So much awesomeness! Great cards. 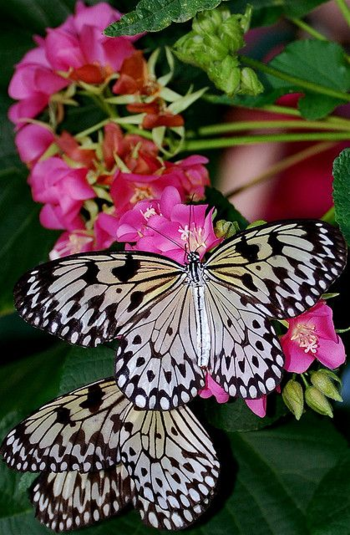 Yesterday I said I am a huge leaf fanatic; but, I am also a huge butterfly fanatic! Have to have something sitting on all those leaves right!!! Thanks for sharing! I am simply blown-away by this months release. You would think I would be used to it by now ~ you do it EVERY month! Amazing products! My list is LONG!!! Thanks so much, Nichole and team! So many great new stamp sets. My favorites are Be Happy, the star die and the scribbled circles. Great cards from the DTs. Your wonderful releases are the reason you are celebrating 7 years! Scribble circles are a must have! I am super excited about the new Phrase Play series! I love the Sketched Stars paired with Scribbled Circles! Another great set of releases! I love those stars and the scribbled circles. The Circle Scribbles looks like so much fun and the Phrase Play is such a cool idea! Love the circle scribbles! The phrase play series looks like a lot of fun, too. Thank you! Circle scribbles is everything I dreamed and more! Love all of the wonderful inspiration today, and cannot wait for more. FUN! Those sketched stars over the scribble circles look awesome! Love the Phrase Play series – it’ll be fun to see what’s new every month with those! I love those scribbled circles. Such an easy concept with such a big impact! I can’t wait to get them! Scribble Circles, Scribble Circles! What fun I will have with that stamp set! Scribbled Circles is my favorite of those shown today. I’m doing journaling and I can see many uses for this set. I just love the circle scribbles. These are so cute. So many fun possibilities!! I LOVE these sets. They make me think of Spring and right about now I need that desperately! Thanks for chasing the winter doldrums away. Phrase Play looks like a must-have! Loving the scribbled circles – could almost get away with pretending you had doodled them yourself! Circle Scribbles look like so much fun,I am also loving the phrase frame! Great new products, and amazing projects!! Fabulous inspiration cards! Love the scribble circles, the star die cuts and those lovely phrases! I love the circle scribbles so much! All so wonderful! Loving your Monthly Moments pieces! I’m loving A Little Inspiration! I think it’s a must have even though English is not the first language for many of my card recipients. I also like Circle Scibbles a lot. Wow, you’ve all been working hard at the samples again, they are just lovely! I am really loving the Be Happy set and dies! I love all of the peeks but so far my favorites are the leaf set/dies and the Phrase Play. So many possibilities! A Little Inspiration has given me a lot of inspiration! Love the phrases! I wasn’t sure I’d like the circle scribbles but your cards have totally changed my mind! I am excited about the dies AND the stamps introduced today. I love the Scribbled Circles and how they can be a focal point or a background accent. I cannot wait to use them! Oh my! I just love the you are my sunshine card!! So pretty!!! Phrase play looks like so much fun! Wow!! TOTALLY LOVING it all!! Such AWESOME Inspiration!! Looking forward to seeing the rest of the Release!! THANKS so much for sharing and have a Fabulous Week!! Love the phrase play and the circles, but all other things are wonderful too…. Each day gets more and more exciting! Looking forward to the full reveals! The Phrase Play series is starting out with a bang – love this one! And even though I thought I already had enough little frames and flowers in my collection, when I saw that little butterfly in Be Happy, I knew I would NEED it, too! Loved everything that was showcased today! Phrase play is a really versatile product. It’s one that I need. A Little Inspiration … Circle Scribbles … sooo perfect! I love the Circle Scribbles, so much fun! Today is definitely an “I Want It All” because they are all so versatile. Once again, Nichole, you did an awesome job of showcasing them for marketing. Goal achieved! Circle Scribbles actually surprised me and love the results. 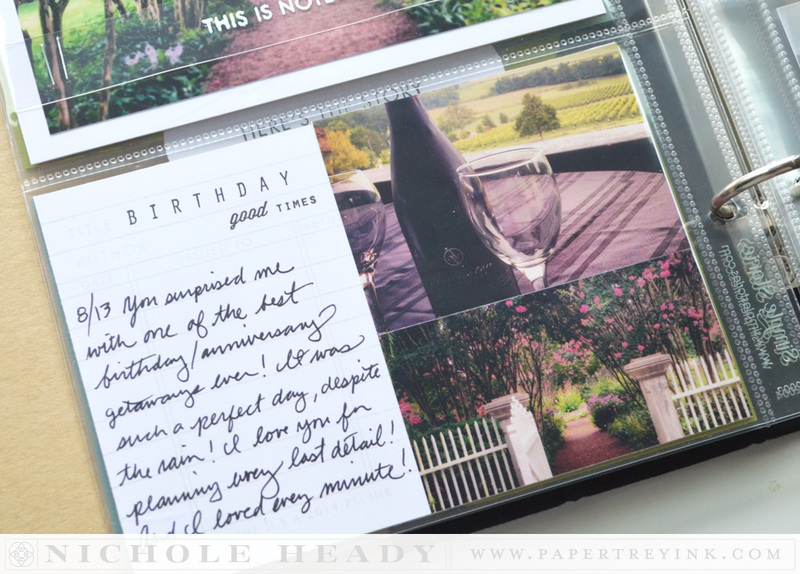 Your Monthly Moments layouts are fabulous, and what a fun surprise celebration! Great samples. The must have products that I’ve seen so far are the Leave It Be, Birthday Word Block, Phrase Play #1, and Be Happy. I was surprised how much I like the scribbled circles! Love how you can pair it with a more modern look as well as flowers, etc. I also like the Be Happy set. Thanks for all the beautiful colors today! Those Circle Scribbles initially looked so unassuming…until they consumed me! 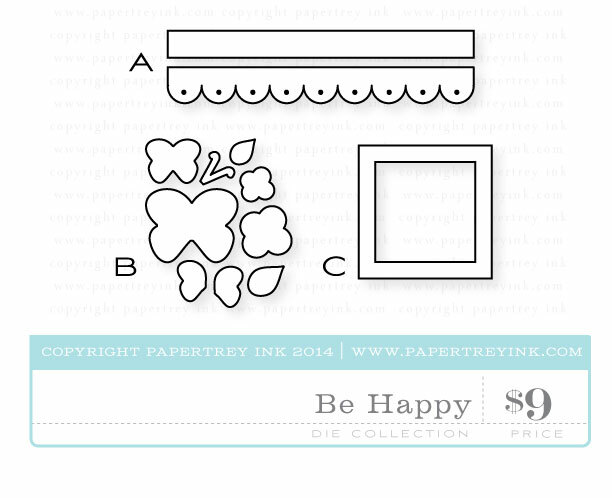 I’m looking forward to the new ‘Be Happy’ set, it looks so versatile and fun to use. I can think of many different projects I would use this set on! OHHH the things you could do with Circle Scribbles can’t wait to get my hands on it! All of your projects were fantastic! Circle Scribbles really caught me by surprise! Lots of possibilities with this set & I love the samples. What a fun day! I love the circle scribbles and the Phrase play set and die…so many possibilities and so much fun to be had. And, lots of great inspiration from amazingly talented ladies! Love the circle scribbles. I love doodles though so it’s not much of a surprise! Thanks for the wonderful inspiration on new ways to use doodling! 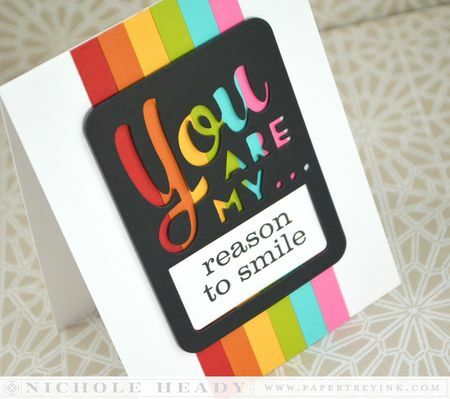 I love your you are my reason to smile card – love that rainbow of colors, great idea! I love all the different ways the Scribble Circles are used! All the cards are such terrific ideas, too. These are my favorite of the release so far. I love the stars! I knew I would from yesterday’s peek. I love the diversity of all the projects. I love the Phrase Play die! I’m getting more excited about scrap booking! Love the Phrase Play #1 and Sketched Stars. Fun to play!! I really like the Circle Scribbles! The cards were fabulous!! Everyone’s creations are wonderful and such a inspiration. I really like the monthly series stamp sets and dies, so I really like the new Phrase Play series. I can see using these on cards as well as scrapbooking. I also like the A Little Inspiration stamp set. I am really excited for this release as I see so many new products that I can’t wait to add to my collection. My favs are the Scribble Circles and the Phrase Play stamps & die. I love all the word die cuts! They make it fun to highlight the sentiment on a card. Boy, oh, boy! I am in so much trouble this month! Most releases I have a few things I have to have and others I can live without…. But this, and last , release… I have really wanted 99% of what has been put out! I LOVE today’s showcase of products. This party has been such fun! This is just one awesome release! Seriously!!! I can’t wait to get my hands on the scribbled circles and Phrase Play! I’m loving phrase play and Be happy…you have my mojo reeling!! SO FUN!! So many great projects from Nichole and the team. All the sets with coordinating dies look amazing. Thanks for all the creativity and inspiration. At first I wasn’t too sure about the scribbles … but after seeing the gorgeous examples I LOVE it — cannot wait to get my hands on that! Really looking forward to release day! Word dies are so useful. I’ve used Wonderful Words Hello so much. I’m looking forward to seeing the full reveal of Phrase Play….it looks like a great set! My heart went wild for the scribbles! dies and the possibilities you share for using them. I’m warming up to the idea of starting Monthly Moments. Those star dies remind me of the stars I always draw! They will definitely be mine! Loving those scribbles too! I’m enjoying the creative challenges as well! What a month! Phrase Play and Circle Scribbles look fantastic – this is going to be a great release! Love how you turned the Circle Scribbles into flowers! I have to admit when I saw the preview of the circle scribbles I didn’t think I would like it..but now that I’ve seen your examples and how useful they can be..I am liking them very much! The scribble set will be coming home with me for sure! I love it. I am in love with the circle scribbles stamp and the “You are my” die. The circle scribbles take the top of the list, love them as flowers, those would be a must have on my list! The new Phrase Play series looks amazing and I love the Scribbled Circles too … ahh, the possibilities!! How cute is Circle Scribbles!!! Something so simple makes such beautiful cards and layouts!!! I really love the Phrase Play #1 and Be Happy. I’ll definitely be getting those. Thanks for all the inspiration. Some much goodness each and everyday. Must have the scribble stamps! I really like the Phrase Play! So many new and beautiful things…my mind is officially boggled! LOL. I am looking forward to the full reveal, although my wallet is not! Circle Scribbles are my very favorite! Love them! These cards are all awesome & the differences shown in the various cards are really great. Such great ideas! Love the Phrase Play die – these will be such a fun addition to a card design! Love the doodle circles too! Who would have thought circle scribbles would be such fun? They look amazing as flowers! You guys are awesome! The new dies are AWESOME! Especially the Text Block Birthday one – I NEED that! Wow! Fabulous releases today!! Love it ALL! And the inspiration (Nichole & the DT clicks) are just fabulous too! Love, love today’s products & will have to add most/all of these to my wish list. Oh, if I could only win the year of stamps; I think I’d be in heaven 😉 Again, Fabulous releases today! I see circle scribbles in my future! I think it would be a lot of fun to play with! oh, I can’t wait to see A Little Inspiration in full! Such uplifting sentiments! Great projects today. Love the circle scribbles set. I absolutely LOVE all the word and phrase dies introduced this month! 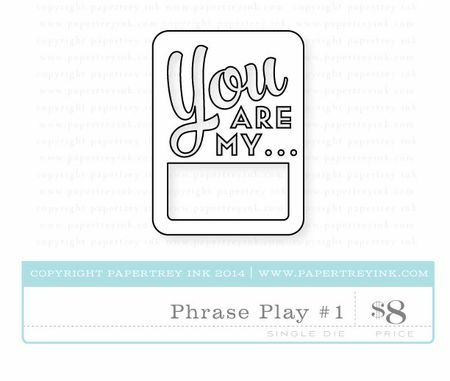 The “you are my” die and sentiments are adorable! What a wonderful showcase today – love everything! Be Happy and Scribbled Circles tops my list for today!! I just love the Phrase Frame and the fact that there will be more to come. That’s exciting. My oh my!!! It’s going to be tough trying to narrow down the wish list this month! So many FABULOUS new products!!! From today’s peeks alone I’m super excited about Phrase Play, A Little Inspiration, and Circle Scribbles!!! Love all of the AMAZING samples too!!! I especially love the Circle Scribbles and Phrase Play 1. All the projects are wonderful! Thanks for the inspiration, ladies! I’m really liking the circle swirls stamp. My mind is beginning to think of all kinds of things I could make with it. WOW it just keeps getting better and better!! The inspiration set and the phrase frame have really set antenna and the be happy set looks so sweet. Great inspiration from everyone today too!!! So loving the new Phrase Play series as well as the Be Happy collection! Love the dies! Always gotta have them! Fabulous inspiration again today, love the new introductions! Amazing release this month! I love those Circle Scribbles! They are perfect for any type of card…especially the masculine ones I struggle so much with! Circle Scribbles and A Little Inspiration will definitely be on my to-buy list! Can’t wait to see all the sentiments from that set, and what else can be done with those scribble images! TFS! Gotta have those scribbles and the stars! My wallet is already hurting in anticipation with all those releases… Great stuff – you rock! What do I like from today? EVERYTHING!!!! 🙂 Can’t wait to get all of these new amazing products! Your projects are stunning! Your cards are so awesome today! Love each and every one. I am especially loving the Be Happy sets! It looks so sweet and versatile (that frame alone is worth the price of admission to me). Loving today’s projects, especially the scribbled circles ones! You know I don’t have a set of star stamps or dies! Sweet! I’m loving this new release! I hope I have enough time tonight to work on a card for the challenge! I love the be happy!!! You ladies are so inspiring . You always have great ideas. Love the concept of word play but what really caught my eye this month is the scribbled circles – such fun and so versatile! I LOVE those Circle Scribbles! Can’t wait to order them. OMG! Love that Phrase die! SO AWESOME! Love Be Happy and Phrase play. Especially love the sketches for Be Happy. Lots of great layouts to get you going. I just adore the “you are my” die! Can’t wait to get my hands on it!! 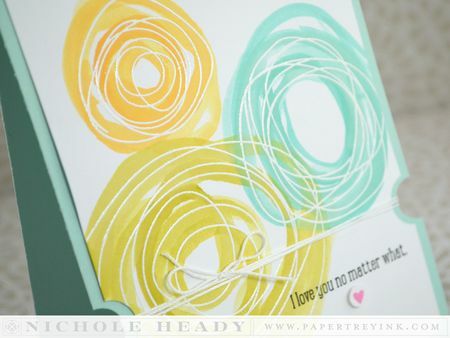 I LOVE, LOVE, LOVE Circle Squiggles and the flowers made with it! It is a must have! I am loving the Phrase Play set! Can’t wait to see more!! wow what great projects today…those scribble circles look so simple but so many different effects can be created from them. I love every single thing released! I hope I win! Love all your new products! Thanks for the giveaway! I love the Circle Scribbles and the Phrase Play series! Love all of the samples! Everything is beyond wonderful. 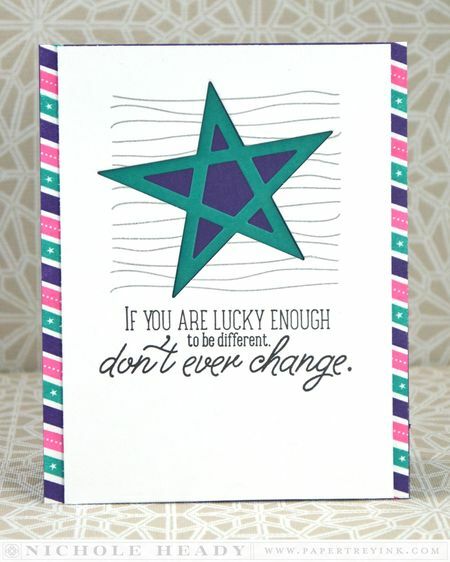 I think A Little Inspiration will be much needed in every stampers collection… such uplifting sentiments. The Circle Scribbles and the Phrase Play are my favorites… The creative potentials are endless with these two! When I first saw Circle Scribbles I thought I can do without that one but now that I see your projects it is at the top of my list. I should stop saying that because I am always wrong about the stamps. Really I just love awl off the cards made. And those new stamps are so adorable. Great stuff today! Loving that phrase play die. My favourite dies are ones that work well wether you use the regular dies cut or it’s “negative”. More bang for you buck, and no wasted cardstock. Love all the cards, but I have a soft spot for rainbow – great idea! Circle scribbles might have taken rainbow’s place – so cute! Oh so many fun ideas! I love all the new products. I really love Leave It Be and Be Happy! I am already thinking of all the ways I will be able to use those sets. I am excited for release day so I can buy them and start using them in my projects. Love it all so far….but circle scribbles is a must have…. I am planning a “starry night” nursery for my new baby boy, and want to hang those sketched starts all over! I am picturing a mobile or some kind of wall art. So perfect! I am so in love with those sketched stars! OMG I am in love with everything you made today Nichole and your fabulous design team. Holy Moly, you really knock my socks off! thank you for sharing such wonderfully creative cards and for all the creative stamps you and the others design. Love Melissa’s new set! And your samples are amazing, Nichole!!! My wishlist just keeps growing and growing … such adorable ideas and possibilities! love the new stamps. was hesitant about the scribbles but see the great ideas with the images that the scribbles add a homey feeling and an exciting feeling depending on usage.Love them with the Stars. Have a good day. There is so much I can’t wait to get….Melissa’s Be Happy, a LOT of the Monthly Moments, and we haven’t even seen it ALL! I am absolutely blown away! I ADORE everything highlighted today. The You are my sunshine cards are just gorgeous. I cannot wait to place my order!!! I like the scribble circles and the star dies. Fantastic projects! Love what you can do with the circles …like gold embossing and watercolor. Beautiful projects today ! Who knew you could do so much scribbled circles? Love all the different ways the set was used today. I’m really excited about the Phrase play series. They look super fun and like you could make a card fairly quickly with them. Circled scribbles also looks fun. At first I wasn’t so sure, but after seeing them in use they are growing on me. Oh, yes, for sure those Circle Scribbles! I’m sooo much looking forward to those stamps! Have so many ideas already! Can’t wait to use them myself, so pretty! Circle scribbles are so versatile! Beautiful cards! Love the Phrase Play set and die. Too cute! This is going to be a fun series. The rainbow You are my reason to smile card made me gasp out loud – love it! Circle Scribbles look like so much fun too! I like Be Happy and Little Inspirations. The sample cards that the design team came up with are amazing. I really like the Phrase Play stamp set and Phrase frame die! Fun…. Wow – lots of fun stuff today. Those circle scribbles are a great accent and I love the new star dies. Stunning just stunning!! I’m especially in love with the Circle Scribbles set!!! The current trend i’m loving is the use of loose string and twine to add dimension to cards so these scribbled circles are just perfect!! Can’t wait to order ASAP!! Love all the new dies! I can’t wait to get those Circle Scribbles!! Those are going to be so much fun and so versatile! Love these new dies! I scrapbook as well as make cards and I can imagine so many uses for these! Love, love, love!! And the circle scribbles are really fun too. Adds just enough interest to a card. Wonderful samples! Love the Circle Scribbles. Will be so versatile. So much fun stuff in this release, I need to start looking over everything and make a wish list. I am very interested in the “Phrase Play” set. Not only does it come with great sayings, but you can use it with almost anything. I also like that you can use the die words out of the box. Such fun. Love todays posts. Circle Scribbles, Birthday Classics and a couple of the dies are in my cart already. There is so much to see, I know I am missing so much. Love your dies so much. can’t wait to play with the new color of cardstock. I love what you’ve done with the Circle Scribbles! Didn’t think I needed the Sketched Stars…until I saw how you used them…darling! Actually there’s nothing released today that I don’t want. Looking forward to using A Little Inspiration. This release is over the top! I really liked everything you shared with us today, but I think my favorite is the circle scribbles. Can’t wait to get my hands on that stamp set. I love the circle scribbles they look like they would be a lot of fun!! Very nice cards done today!! Just love the scribbled circles, and your projects show how versatile that set will be! i love the star dies and the ‘you are my…’; love them! This is shaping up to be the best release in PTI history. There are so many things that I want to get my hands on. Circle scribbles looks like such a simple but fun set. I can’t wait for this month’s release! I’m intrigued by the possibilities of the circle scribbles. Great projects today! Love the circle scribbles, they look like a lot of fun. These sets all look amazing! LOVE the different cards with the bright colors. So cheerful! The circle scribbles caught my attention right away. I have not played much with die cut words but maybe it is time to start. Oh Circle Scribbles certainly made my heart beat a bit faster! Love how they can be used alone or with some of the cool techniques shown today: watercolour, stamping the back of the stamp! Always so much inspiration! You are all so talented, love the designs. So much to ooh and aah over today! I always love the anniversary month’s release! Oh, Phrase Play – You Are MINE! Love,love, love this. So versatile. I just love Phrase Play and Be Happy. They would be so cute on their own, and together adorable, especially on a trading card for my scrapbook, album, or card. I am loving seeing all the new releases and creations made by the DT. Thanks for the sneak peek. 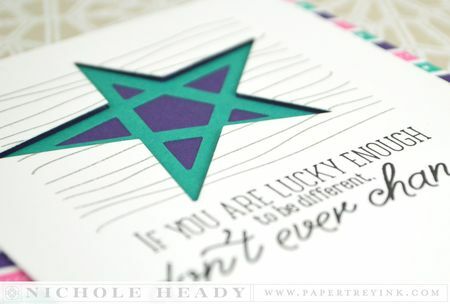 I’m LOVING the sketched stars dies! I also really like the Circle Scribbles and Phrase Play! The projects are just GORGEOUS! So much eye candy!! The squiggly lined flowers are pretty cool! Phrase Play is so fun!!!! Love it! Love the circle scribbles- so cool! It’s going to be so difficult to choose, but Circle Scribbles is my favorite so far! Who would have thought something as simple as scribbled circles could add so much to designs?! Love! Love everything in this release, but my favorite is the circle scribbles. Thanks for all the great inspiration. Definitely loving scribbled circles – such a versatile set! Love love love the sketched stars dies! Those are definitely coming home to me! Seriously so excited that I saved holiday gift cards for this release!! So much awesomeness! Melissa Bickford has totally outdone herself! Her sets are amazing! Loving the Phrase Play ideas! So different and fun. And another home run from Melissa with Be Happy – adorable! I love the leave it be dies from yesterday’s sneak!! So many wonderful leaves to add to my growing collection! Today’s cards are also gorgeous! Very colorful and fun! So full of inspiration! Thanks for another chance to win! I love the scribble circles!! Thanks for the opportunity to win. Your cards are all beautiful as always, thanks for sharing all your ideas as well. I can’t wait to order, especially the new Scribbles Circles. All of your releases leave a excited feeling in my tummy. Another great day. Thank you. I’m very excited about the Phrase Play series and Melissa’s new Spring set! So much fun! And really – the scribbled circles have taken me by surprise! Love their versatility! Sketched stars dies and Phrase Play #1 caught my eye. Another great and expensive PTI anniversary/birthday! Circle Scribbles! Whodathunk? Only Nichole could come up with a stamp set of scribbles and make it a hit! All kinds of ideas are going through my head for this set, can’t wait to get it! Love the You Are My Favorite card. Looking forward to seeing more of the Text Block series. Love the scribbles set!! So much amazing inspiration this month. Can’t wait to see the full reveal. I love the Sketched Stars!!! I am always looking for stars and never have enough!! Also LOVE the phrase play!! Beautiful cards as always!!! I love what Nichole has done with the monthly moments concept. Beautiful layouts…very classy. I think the Circle Scribbles and Phrase Play series are fun and so versatile. Great ideas from all the ladies. 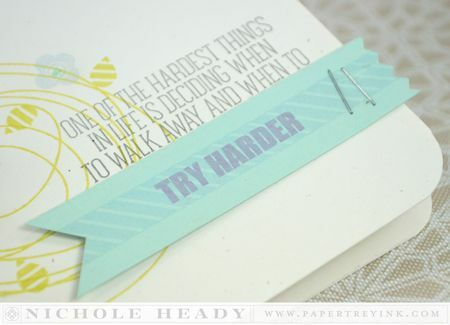 the imagery & the sentiment of the “try harder” card are such a perfect match! i love all the options available for the positive & the negative of the new dies! Wow, all the inspirations from the DT are fabulous. I love the star dies and the circle scribbles! Loving those circle scribbles! Looks like that set will have endless possibilities! I must have the stars and the little inspiration set!!! I just love the options and versatility you get from diecut words so Phrase Play really caught my attention! But then all the projects today really caught my eye – definitely a great way to start the day! Love that “You are my sunshine” card! I remember my mother singing that when I was little. Honestly, just a great release all around. I can’t pick a favorite yet! I’m really excited by Circle Scribbles! So versatile – we will only be limited by our own imaginations. I can’t wait to have a go with this one. Phrase Play and Circle Scribbles! I adore them both! Can’t wait to see the other phrases. I love the additional versatility of using them for the pocket scrapbooks! Great cards today! 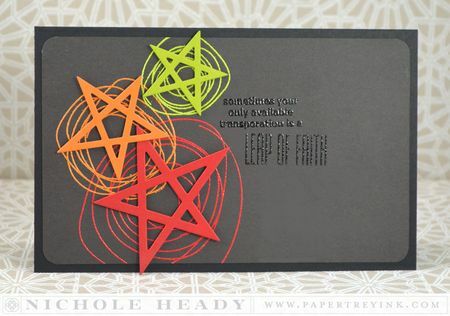 I especially love the Smokey Shadow card with the colored stars and circle scribbles. Beautiful! I can’t wait to get the circle scribbles! LOVE all of the possibilities with this set!! Such fun cards today–I am really liking Melissa’s new set! I am really loving that little Phrase Play die! Love how you can use the negative and positive images of the phrase for 2 different looks. So many fun options to tuck inside the square! I am going to love this new series–phrase play!!! I am very excited about those stars and scribbles…. I LOVE the new Circle Scribbles set! I’m so excited to get my hands on it. Love the scribbled circles! The possibilities are endless! Looks like another fabulous release Nichole! Loving Be Happy by Melissa Bickford! Thanks for the chance to win! Really liking the word block dies — both the ones; today & yesterday. Also look forward to seeing the new color. I have to admit when I first saw the Scribbled Circles….I could never have imagined wanting the set, but after seeing what has been done with them….I’m a believer !!! Such a beautiful stamps and dies! I would be super excited to win this! I really like the phrase play dies. They look like really fun dies and stamp combos and they are not that expensive to add to your collection. Yay!! I am liking the $5 sets more and more. Keep them coming!!! Love these new releases …. who knew a scribble could be so fabulous! I really do love the circle scribbles. I am a big fan of geometric shapes, and this set is definitely something I am itching to get my hands on! I just love the new release. Great projects today. The scribble circles look so fun and versatile, can’t wait to give them a go….and the phrase play too! Super release, so excited! I am intrigued by Erin’s A Little Inspiration and am looking forward to seeing all of the phrases. I am surprised by Melissa’s Be Happy. I expected it to be a cute little set in Melissa’s sweet style, but it is much more than that. This is one jam-packed release. The circle scribbles and the stars are awesome!Great job on this release! Leave It Be is a must have set in my opinion. All I want to say is that this release is fabulous. The cards displayed in the last five days are totally amazing. Today’s cards just made me smile, and gave me some tranquility in the midst of a very stressful time. It would be very gratifying to create some cards using any and all of these items. Cheers! I’m really liking the new dies, especially those stars! Those would work great on boy scrapbook pages! All I can say is WOW! I want it all! 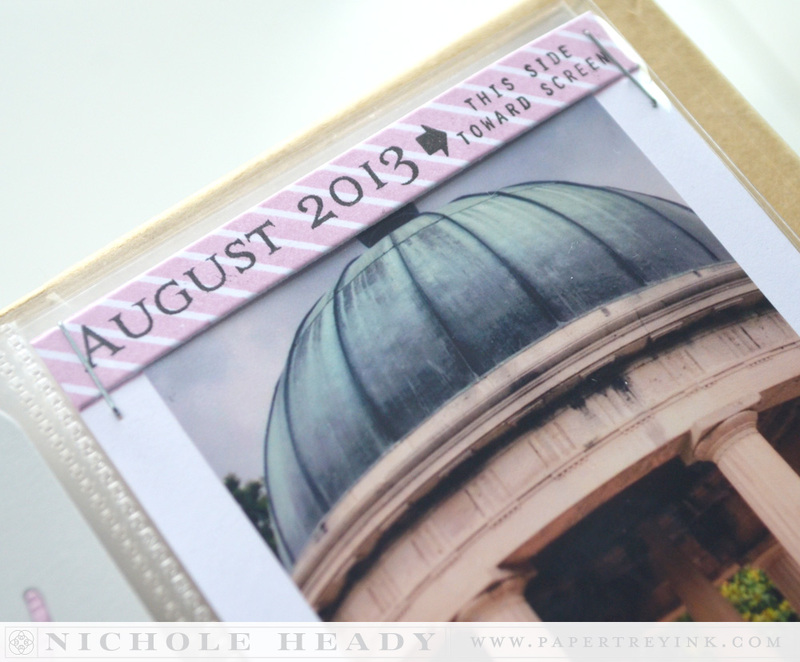 I am loving the new circle scribbles and the Birthday Die – almost like a cover plate! Thanks for all the terriffic inspiration! You never cease to amaze! While I wouldn’t have thought I’d be interested in the circle scribbles, that first card with the matching stars is awesome! Can’t wait to see the full sets! Loving the way you combined the stars and circles! They are a perfect pair! Those images from the Be Happy set live up to their name. Every project I see using it makes me smile! Also I am really liking Circle Scribbles, especially when used with those super cute stars! What a great suprrise the Phrase Play will wok in 3×4 pockets. Can’t wait to see what is in store with this series. Wow!! Another stunning release of wonderful products. I LOVE these Phrase Play stamps. They are so fun!! Love the star dies and the scribble set! Great cards and scrapbook pages too! I’ve been looking forward to Circle Scribbles since the sneak peeks! I can’t wait to play with this set! What a great release! I love the circle scribbles. So simple yet so impressive. Love, love, love phrase play #1. I’m so excited that this will be a monthly series, can’t wait to see what’s next!! How cute are those Scribbles?? Love them! And I can’t wait to see all of Erin’s new sentiment set…. love all the creative new dies! Your Phrase Play has caught my eye!! I am adding to my wish list every day!! and I simply love the circle scribbles!! Cant wait!! Love the phrase play. What a great concept. Love the Circle Scribbles and Sketched Stars combo! Again, more amazing-ness! (is that a word? it is now!) Circle Scribbles are a must have, but so are Phrase Play and Be Happy. You guys have outdone yourselves this time! 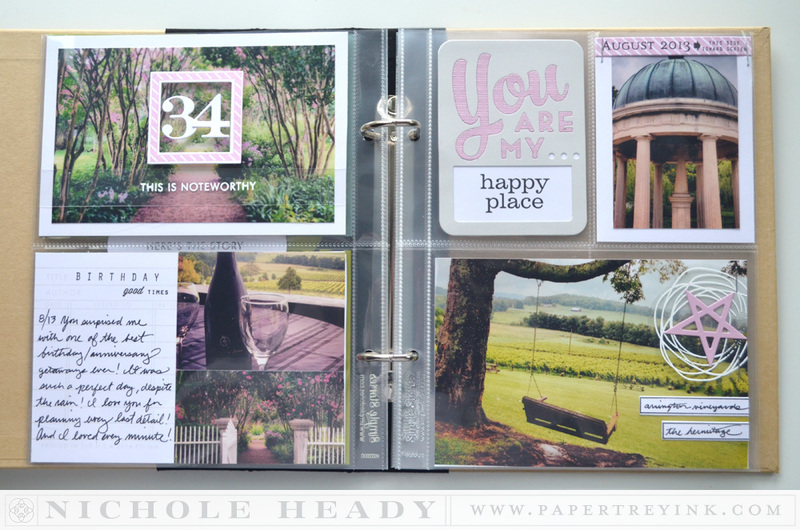 I love that the “You are my …” die is the perfect size for pocket page scrapbooking! Once again, thanks for the amazing products and inspiration! This entire post of your has made my heart skip a beat lol. If I HAD to pick ONE thing I really like the circles, probably b/c it is SO versatile. the new stamp set A Little Inspiration is right behind the Circles. Circle Scribbles looks like such a fun set. I can’t wait to get it to play with it. oh, I am so in love with Phrase Play and Circle Scribbles! Thanks for the fantastic inspiration- everything created is just gorgeous! Can’t wait ’til release day! Love the scribble stamp set. Enjoyed all the cards today! Today’s projects are fabulous! I love Circle Scribbles and that perfect die cut star! What I am really excited for is A Little Inspiration, oh how many times I can see myself using this set! Just love the circle scribbles! And love all the awesome new dies! What an awesome release! Love too many things! Great cards and creations from the team. Thanks! I am absolutely amazed at the cards created with the Circle Scribbles! Who would have thought something so simple could look so fantastic. Wow, what fabulous creations and products! So inspiring! My shopping list is gonna be really BIG! I love the Scribble Circles and the Stars. Well, there are so many things to put in a cart I don’t know where to begin! Love the big words! I can’t way to get this new set. All the releases look like so much fun. Can’t wait to start creating with them. Love all the designers cards as well. Phrase Play is going to sell out immediately–just saying! I love the Die first and foremost and can’t wait to get that! Thank you for creating so many dies for such reasonable prices! I love all the inspiration everyone provides each month when the new product comes out! Thank you and Happy 7th! Lovely cards! Love the Phrase Play series! Yay for new products!!! Can’t wait to see the full release! oh yes yes yes…everything made my heart beat a little bit faster lol! i am so pleasantly surprised today! i especially love those fun star dies! i must add them to my collection!!! Love those Scribbled Circles. I can’t believe scribbles can look so good! Oh my ~those circle scribbles stole my heart!!! Your rainbow card makes me smile—-HUGE!!! I cannot wait to get my hands on the new Teal color. scribble, scribble, scribble; scribble brings excitement and creativity to life. Possibilities over whelming. Oh wow, yet another lot of versatile stamps and dies. Thank you! Wow! Your projects are awesome!! Loving these new goodies!! I love the star dies! Love Scribbled Circles and there are lines too!! I am so excited about this release. So many wonderful new additions for scrapbooking! Have really been enjoying the layouts you show. Not overstated but lots of little extras!! Love all the new items, especially the new tropical teal!!!! That “transportation” stamp has a typo, alas. I love to scribble and doodle so this set is coming to my home! I really can’t pick one thing that stands out today. I really love them all. Enjoying the DT projects too! Way to go! I’m always looking for something different in card making that no one else has to make it unique and PTI never fails to deliver! Gorgeous stuff (as usual he-he) Thanks for the giveaway! Circle Scribbles is going to be a must-have for me! I’m still drooling over Leave It Be also…we will have to see what else I can’t live without (ha ha). Many thanks for all the inspiration. Love the flowers made with Circle Scribbles too. I love the circle scribbles and the be happy! Gorgeous projects all around. Thanks for the chance to win! I am intrigued by the circle scribbles. I didn’t think much of it during the previews a few days ok — but they are now at the top of my list! There is something so appealing about the circle scribbles. Love them!!! Phrase Play #1: You are my favorite! Today is the best yet. You guys continually amaze me with all of your innovative products and projects. Can’t wait to cut out Melissa’s sketches and add them to my sketch recipe box! I know I can get a lot of use out of Be Happy! Love all your releases….everything make me so giddy and excited! I love the Circle Scribbles stamp set. All of the card designs are just so fantastic and I am looking forward to this release. I really love Melissa’s Be Happy set. All the dies are great. I love that there’s a frame die, border dies, and shaped dies all in one affordable set! Everything looks great. I think my favorite is the Be Happy stamp set and dies. Love Melissa’s designs and samples. I am so loving all the amazing products this month. The circle scribble and word frame look super fun. Enjoyed the tip on using pure poppy on berry sorbet cardstock for a new look. Your “our story” album will be such a treasure. Fabulous idea! Love the Phrase frame! I can’t wait to play with it and the stars dies. “You are my” is absolutely MY favorite! You are my favorite site for inspiration. I HAVE to have circle scribbles! Your cards are so inspiring today! Can’t wait to try on the circle scribbles, so fun!! Scribbled circles, scribbled circles, pitter patter, pitter patter! The new release are fabulous! Your cards are a wonderful inspiration! Bubble Talk and Stitches and Swirls have become my absolute favorite! Love all the dies and the teal paper color is a must have! So I was a little iffy on the scribbled circles until I saw the “you are my favorite” card. So cute! I love those circles as flowers! I know I am going to love everything but what I am most excited about is the monthly moments series. Thanks to your samples I am going to finally do some photo scrap booking. One about my travels with my sister and another about our youngest nephew who’s turning 3 this year. I’ll be giving that to my brother and his wife. Thank you for the lovely 7 years of inspiration ! I really liked the phrase play and be happy! Thanks so much! Circle Scribbles, A Little Inspiration…. Oh My, the possibilities!!!!! Phrase play is AWESOME! And if this is the first, I cannot wait to what else you have planned! Keep up the great work PTI….You gals Rock!!!! I love the Be Happy set. I always look forward to Melissa’s stamps. Oh, and the circle scribbles looks like it will be really fun!! Phrase Play #1 and Be Happy get my votes for today! What a lot of fun stamps and dies and such great cards! Think my favorite is the Circle Scribble set. Love the flowers you made with the circles! Every project is great today. I love stamp and die sets. But those circle scribbles have caught my attention. So many ways to use them. I LOVE this series already! I was sold on the peek alone! I’m so excited for the circle scribbles stamp! As always the cards look beautiful, thanks for the inspiration. Circles Scribbled totally surprised me and I love it! Also love the sketches for be happy…what fun! Love the Be Happy from Melissa and the scribbles will make some awesome cards too. Love the new dies. Really like the new Phrase Play set, can’t wait to see some more new sets. Great projects too. I love everything about today’s products, especially Phrase Play. So cute!! The scribble circles have surprised me! At first sight, I figured I would pass. After seeing them in action, they are really cool! I love the scribble circles will be a go to. Wow, who knew scribbled circles would be so cool! (Well, apparently you!) Everything is cute, cute, cute! I LOVE the scribbles and stars!!! I just love the Phrase Play … so many fun options! Excited, excited, excited for release day! Thanks for the amazing creativity of the DT. You all are seriously amazing! Seriously. lovin the sketched stars and scribble circles and the sweet little flowers and butterflies in Melissa’s set. who am I kidding-I really like it all! Cant wait to place my order. I love the Phrase Play! Thanks for all the great inspiration! Those circle scribbles are something I cannot live without in my supplies. What a great release once again. I didn’t expect to love the scribbled circles! I’m also looking forward to the Button Stacks…they are so cute! Great release! The new products look wonderful. More for the Wish List! I don’t know how you keep coming up with such incredible new stamps and dies! This months are fabulous!! I love Phrase Play!! Honestly, I love them all!! LOVED going through today’s post. The Phrase play is my fav. So striking! Your anniversary celebration is such good fun. Wow! I was not expecting to love ‘A Little Inspiration’ as much as I do. Erin did a fantastic job choosing the sentiments. Circle Scribbles was the set I was most looking forward to seeing. And it did not disappoint. Such a versatile set! I totally thought the striped leaves on the TRY HARDER BUTTERFLY card were bees. That would be so cute! Love the Circle Scribbles – they look so versatile. I adore these products today. The circle scribbles are just fabulous! ! That’s one of those “why didn’t I think of that”? I love the phrase play and can’t wait to see more. I am in serious trouble this release. I truly want it all!!! Love the scribble circles! They make such lovely CAS cards! Your cards are always so beautiful Nicole. I had a lot of fun playing today’s challenge. Happy Anniversary. I love all of the new word dies. Two things caught my eye today – the circle scribbles and phrase play. As usual you always have something I want to try. Great designs! More fabulous stamps and dies! Love the original looks and innovative ideas! Love, love, love tha scribble set and the phrase play sets! So sharp and FUN! This release is truly gone to be amazing. Thanks PTI! What amazing projects!! Love the Phrase Play #1 die!!! I love that circle scribbles set! So many awesome projects today! Phrase Play and Be happy have certainly caught my eye! You never cease to amaze us! I loved today’s projects. I am looking forward to the Be Happy and A Little Inspiration sets that you featured today. Love love love the new Phrase Play! Like all the new dies being released. Look forward to each day to see all the awesomeness coming our way! I love the text block die. I can’t wait to see what else you guys have in store for us this week. Great projects! Love the circle scribbles. Awesome release and fabulous inspiration! My wish list just gets longer each day :)! Love the new series–Phrase Play–and can’t wait to see them all. This is an awesome release and there is more to come. I am very excited about the series of Word die frames! I am so glad you made them the size to use in the pocket pages too! Also very excited about the Inspiration set! Phrase Play #1, YOU are amazing!!!! Love it!!! The star dies & the Circle Scribbles are my favourites,but i really like the text block birthday also.Actually the whole release so far is awesome. Great projects. I especially like the watercolor technique that was used with the Circle Scribbles. I am so excited to get started with Monthly Moments products! I also am really excited about the monthly birthday series from Dawn, looks very fun and it will add a little more personalization to my cards. Oh yes! I just can’t wait to get the Phrase Play #1 single die to get my crafty hands on! I just love everything on this February release. All are very nice and make my hands so itchy and my heart to dream big! Hope to win them! Phrase Play #1 is just awesome!! The scribbled circles is very interesting! Melissa sets are always great basic sets to have! Love the You are my sunshine as I sing that song to my granddaughters everytime I see them. Wow, my wish list is just getting longer and longer. I love the star dies. I was so excited to read that the Phrase Play #1 die was sized to fit the Monthly Moments pages and since it #1 that means that there’s more coming!! Be Happy makes me happy with all the cute, delicate elements! Thanks so much for sharing such fun with me today! The Phrase Play series looks like a lot of fun!! Thank you so much for the inspiration! Today has been my favorite so far! These new products are amazing! Amazing! I love the circles! I love the stars! I love the new die! I am so excited to try these ALL! As always, I love everything I see here today. I am surprised at how much I like the circle scribbles — especially combined with Dawn’s Leave it Be set to make flowers. LOVE Phrase Play! How fun! Love the rainbow card made with it! Be Happy is so cute!!! Amazing projects today! Love the new products! Today was a blockbuster of a day! I love it all! I can see where the Circle Scribbles inspiration comes from. I am seeing this trend in so many places. Love the cards created with this set! Very fun and whimsical! I’m thoroughly enjoying the expanded countdown this month, with all the previews and inspiration. I have a slight die addiction, and will evidently have no problem feeding it this month! Thanks for the chance to win a gift certificate! I’m loving the sentiments from A Little Inspiration. I can’t wait for the full reveal of that set. Also excited for the Phrase Play series. Thanks for sharing such beautiful projects! The Scribble Circles is one of my favorites. It seems to be so easy to put together a beautiful card. I also love the word ideas. You get the words as well as the outline of the words. Brilliant! I love the be happy. I need a cute butterfly and this one may be it! Another fantastic day of new products and amazing examples! I so love the word dies! In fact, just ordered some more yesterday. Amazing stuff, PTI!! Phrase Play looks like it will be a great series! Beautiful cards today!! This release has to be one of the most exciting ever! I am very excited about the Monthly moments collection as I have just started memory keeping with the Project Life system. Cannot. WAIT. to get those stamps and dies in my hot little hands. I am so psyched over this Anniversary release. Every day I can hardly wait to read the Nichole’s and the rest of the designer’s blogs to see what new goodies are in store. Today I can Be Happy with Circles and Stars, oh my! I love the circle scribbles! Can’t wait to see the full release. The cards are very inspiring. WOW, stunning cards!!! Just love the elements in this release. Circle Scribbles is a definite must have. love those cute circles. fantastic when embossed! Thanks for all the inspiration! What a fun release and celebration! Love those scribble circles… If only I could scribble so cute! Fantastic cards, the new products are so exciting! I love the Circle Scribbles! I’ve been dreaming of a set like that and this one looks perfect. The Phrase Play series looks cool too. So much to choose from this month! Love, Love, Love all of this!! Amazing stuff! Especially the star dies! I think my favourite is the Phrase Play #1, but everything is so lovely 🙂 Thanks for the chance to win! I love the circle scribbles. I can see how they can be used in multiple ways! Many, many cool things. You are My Favorite is my favorite, along with You are Reason to Smile. I always love a good rainbow. Love the star dies! I should be at the store on 15th for sure! Everything is so wonderful but I really love that phrase play die! The first two cards have convinced me to add the Circle Scribbles stamp set and Sketched Stars dies to my wishlist. But my favorite card is the rainbow card which has sold me on the Phrase Play #1 stamp and die. Can’t wait to see the rest of the series! Thanks for designing such amazing products and Happy 7th Anniversary! I love today’s projects! The Design Team did a fine job today! 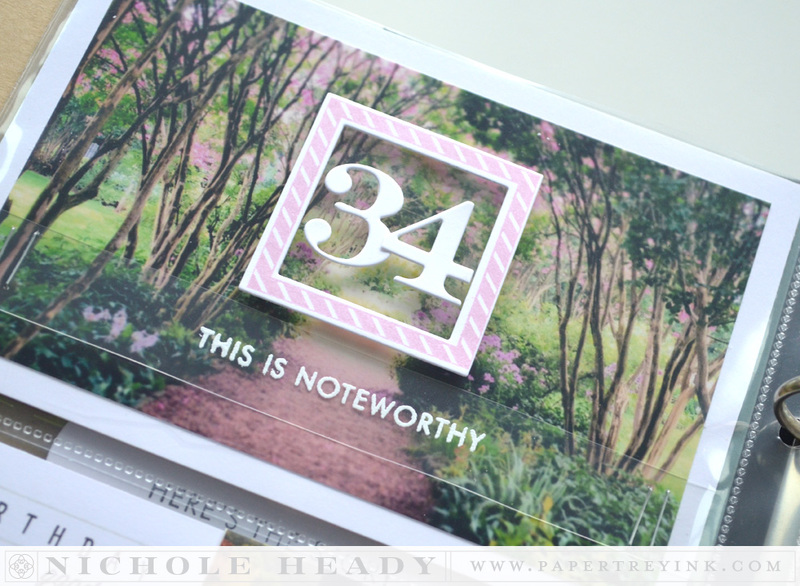 The Phrase Play Die is a favorite…..it will be fun to see the new dies throughout the year. What great projects, including the ones linked! I really liked Nichole’s scrapbook/PL layouts! Love the scribbles! So fun! Love what was showcased today! So excited for all the new products & can’t wait to see more! I want everything! 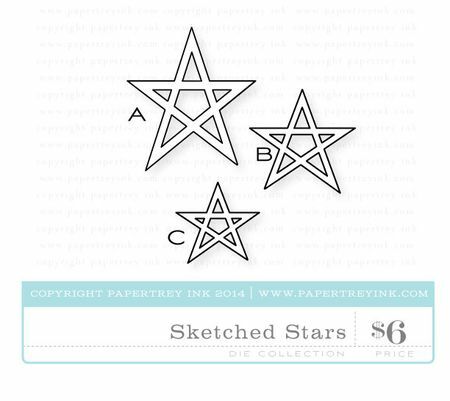 Those Sketched Stars Dies look so fun! Oh I have to say I am excited about the phrase play but boy howdy, I love what you showcased today with the scribble circles. The versatility you showed with that stamp set makes me excited. Another great day of introductions and challenges. Love all the word options today and I am very excited about the scribble set. 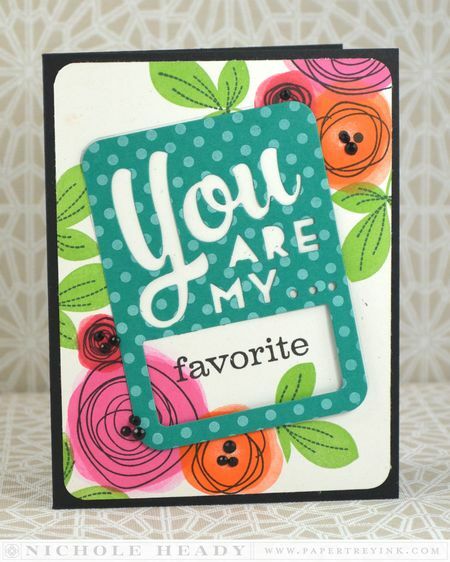 Nichole….your You are my favorite “floral” card with the scribbles stamps….simply stole my heart and from this one sample, I will be buying this set! Circle scribbles is my favorite of today’s releases, but Phrase Play comes in a close second. The be happy die collection is sweet! Wow! So many options with each set. Lots of great stuff here! Can’t wait to the release day! The scribles and Be happy are simply a stamper’s dream..
Ohhh where do Istart. I love the stars, like the star of David but ohhhh so many ways to say ‘just wanted to say’ you are my sunshine, you are my reason to smile. Imagine how often this could be used a partner, a parent a child, a friend, so perfect. Oh my..,. I think all the products today are amazing, and I love the inspiration!!! Than you so much for the opportunity! 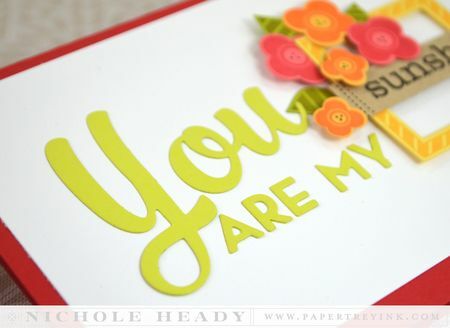 I LOVE the “You are my” die cut!!!! Simply AMAZING! My favorite product that was revealed today was Phrase Play. I just became a grandmother for the first time and the theme of the baby shower was “you are my sunshine”. This will be perfect for his baby book! Phrase play is my favorite. I love how it can be used as either die cut words or as a template. I hope many more of this style are coming soon! I always like a new twist on an old classic, like the scallop borders. Phrase play looks really fun, especially if one color is used for the inside and another color for the silhouette. Love the “you are my” die and square die. I going on my new must have wish list. Love the bright cheery cards that you all have made. Coming to this sight and looking at these cards just makes my day!thank you so much for sharing. I am really loving this release! Your monthly moments pages are beautiful. Happy Anniversary! I love phrase play. Thanks for all your inspiration. At first I was like scribbled lines?!? But now I can’t wait to get it!! I love your post today! OMG, I love the circles. I really wasn’t expecting to but I am just blown away. Can’t wait to see what else you have in store for us. Everything is simple amazing, as usual. Love all the new dies! 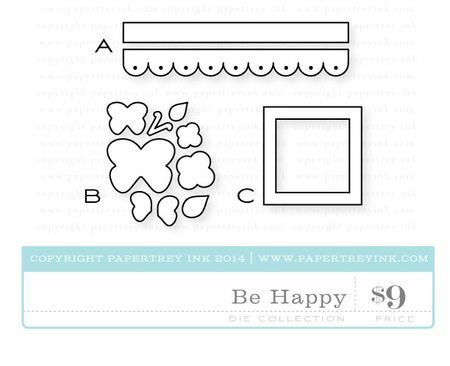 Love the Be Happy Set by Melissa with the card sketches! Thanks! The Leave It Be dies are a must have for me. Love them! Nichole: Absolutely grand release, congratulations! Using Papertrey ink stamps and dies, and of course, inspiration from the amazing and talented team of designers, brings sunshine to my day. Looking forward to adding to my collection of favorites. Cheers! The sentiments always tick my boxes.This release will be one to remember as I think its the best ever! I am in love with the phrase play #1. What a great idea. It all just keeps getting better and bette.r I never would have looked twice at those scribbles…..until I say the samples. And now I just have to have them. God I hope the exchange rate doesn’t kill me too much! This is one of those posts where you don’t know what to comment on first, the great new products or the wonderful projects shown. 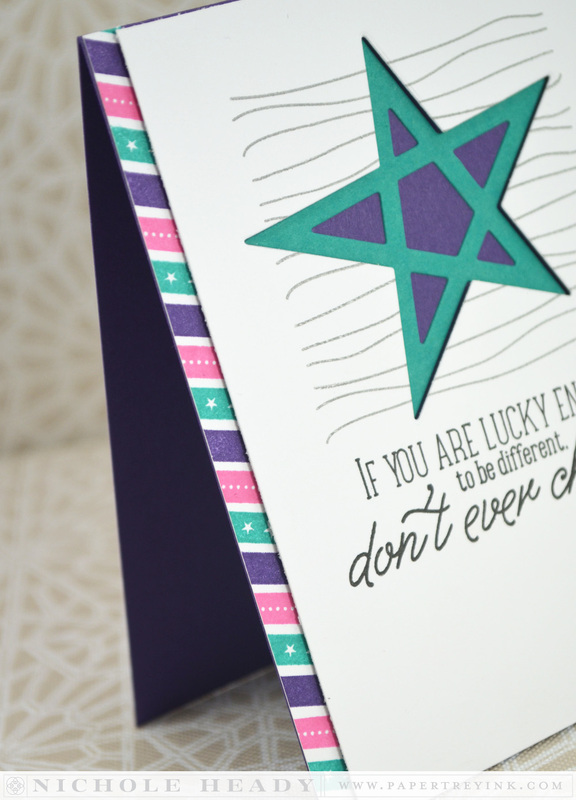 The Circle Scribbles set and the Sketched Stars dies on the cards featured today are fun and they do make me smile! What a great anniversary release so far! Looking forward to seeing more new ideas. Congratulations on your 7th anniversary! I’m in love with those circles!!!! Is there anything that made my heart flutter!? Well everything did! I have yet to find something that PTI has released that I cannot find a way to use! My crafty hands are ready for all this yummy goodness!! Every release gets better and better! OMG!! Sooo pretty! I can’t wait! The possibilities are endless with these new products! Can’t wait for Circle Scribbles! Amazing Scribbles and texture plates. Love that there is a rotated set! I love the try harder card and how the circle looks like the path of the butterfly! Oh wow, the Circle Scribbles stamp set is just amazing! I really love the versatility and those great example cards! Can do lots with them. I did not think I would like the scribbles but when I see it on a card/project, they are the cutest! Also love the Phrase Play! Circle scribbles is so awesome! So many fun possibilities with this! Just have to have phrase play! Love the You are My die … great inspiration for Project Life and cards. Can’t wait for tomorrow to get here! Now I just have to decide what to order first. Love them all…. Hoping I win the $70 so I can order more! LoVe the star dies and the scribble set!! Awesome samples today! Thank you Nicole and the Design Team!